All CURT S-hooks are certified S-hooks. This means that they have been put through extensive safety testing and have been proven to meet SAE J684 standards. These rigorous requirements ensure maximum safety and a trustworthy connection for your safety chains and trailer. 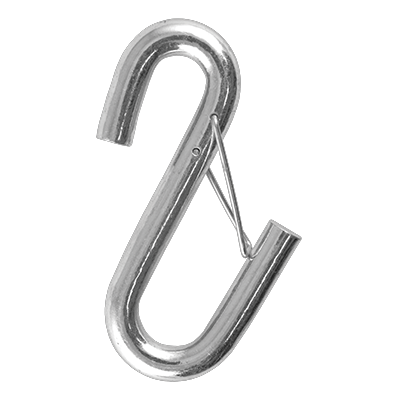 Our certified S-hooks are each made with heat-treated steel to increase their strength and have a zinc-plated finish to resist rust and corrosion, season after season.